Taliban leader Hakimullah Mehsud speaks to reporters in Mamouzi, Pakistan, in 2008. Islamabad, Pakistan (CNN) -- The Pakistani military on Sunday was looking into a local report that the region's Taliban leader had died, officials said. State broadcaster PTV reported that Hakimullah Mehsud, the Taliban commander in Pakistan, was wounded in a drone attack this month, and that he died and was buried last week. PTV cited local sources and its correspondent in North Waziristan. A Taliban source denied the report to CNN, saying that Mehsud has simply gone "underground" after being targeted by drone attacks. The source, who requested anonymity because he is not an authorized spokesperson for the Taliban, said Mehsud is alive and well and will release a taped recording to prove as much. Video: Paying off the Taliban? Military spokesman Maj. Gen. Athar Abbas told CNN that "we cannot yet confirm" Mehsud's death. Pakistani Interior Minister Rehman Malik told CNN on Sunday that officials have received reports of the Taliban leader's death, but also could not immediately verify it. 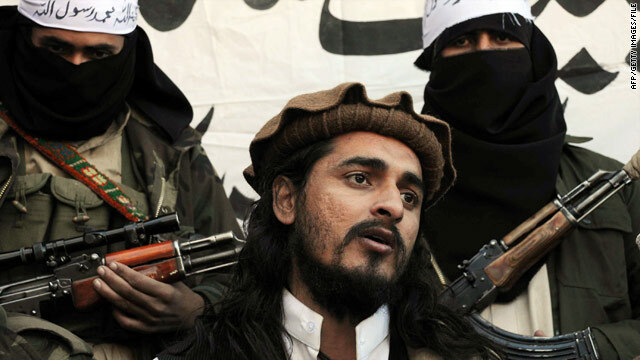 Mehsud has been the target of suspected U.S. drone attacks in Pakistan. The U.S. military routinely offers no comment on reported attacks by the pilotless aircraft. The Taliban leader's status came into question following two drone attacks aimed at him this month. U.S. counterterrorism officials contacted by CNN Sunday could not confirm whether Mehsud is dead or injured. CNN's Kiran Khalid and Pam Benson contributed to this report.